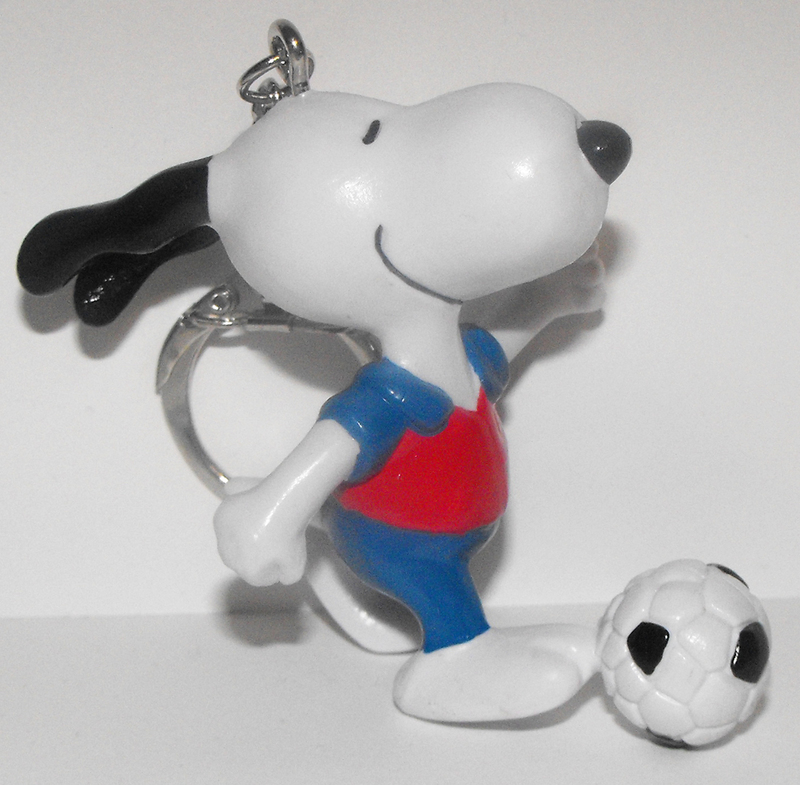 Soccer Snoopy plastic figurine, 2 inches. Figurine part is plastic and the keychain part is made of metal and attached to his head. Brand new, never used or played with. Figurine comes loose without any packaging or tag.